How real estate in China attracts foreigners? 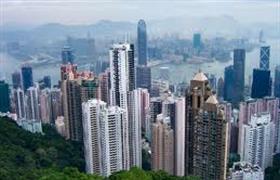 Real estate in China - one of the most attractive segments of the global market. And this popular investment (namely the investment in commercial facilities and housing in China) is easy to explain. Firstly, it is a stable, ever-growing Chinese economy, which even the global financial crisis has had no effect. And secondly, the constantly growing prices and rents of properties in major cities in China, with which the local authorities are struggling to cope for several years. The real estate market in China, as well as the economy of this country is constantly developing. At the same time, the scale of the new construction in China can be compared only to the Dubai market. There is always something being built - new hotels, shopping malls, industrial plants... And because of this, you can buy a home in China on both secondary and the primary market. And those who have the time and, of course, are not limited in financial terms, can not only buy, but also personally to build their own house or to engage in any investment project in China. Foreigners are traveling to China not only for the purchase of luxury goods, but also to buy cheap real estate. Of course, in major cities of the country, for example in the capital of China, it is quite difficult to buy cheaper property, but outside the megapolises the cost of housing is quite acceptable. Moreover, such a purchase could start to bring a profit just on the next day. Demand for the rentals in the country is very high. Even the fact that, for example, in Hong Kong, most of the city population lives in junks, speaks for itself! What kind of property in China can be purchased? China - a country of contrasts. And it can be traced in everything, inclusive in the architecture of the local towns and smaller settlements. Here peacefully coexist huge glass skyscrapers and small huts made in the traditional Chinese style and near the chic shopping and office space are crammed small cheap restaurants... But what to buy in China - a private matter and the choice in the primary and in the secondary segment of the market here is very large.